The flamenco show that can be enjoyed in this cave of the Albaicín is filled with strength and beauty, directed by the charismatic grenadian artist Antonio Vallejo. A tour through the most rhythmic styles of this art, such as: flamenco tangos, bulerías, alegrías, guajira, soleá through bulerías or segurilla,... alternating these dance numbers with todays 'cante flamenco' (flamenco singing) and guitar solos. A flamenco show with balanced tempos, filled with intense changes, with which they manage to lead the viewer through a roller coaster of emotions. 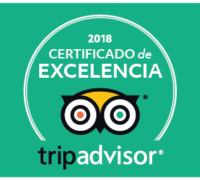 Our staff includes twenty of the best flamenco artists from Granada, usually performing six or seven at the same time in every show : 1 guitarist, 2 or 3 'bailaoras' (dancers) , 2 'al cante'(singers) and 1 percussionist-dancer. Some of which are also teachers of the prestigious Municipal Flamenco School of Granada "Reina Sofía". Unlike other flamenco shows in Granada, in this tablao you can enjoy the spontaneity and sympathy of our artistic director Antonio Vallejo. As a Master of Ceremonies, he presents the different numbers of the show, giving them a nice and close touch, with which he always manages to connect with the public. Flamenco is one of the most important symbols of identity of southern Spain, and represents the essence of its culture. One of the cradles of this art is Granada. Flamenco was born in the early fourteenth century from the fusion of different artistic and cultural manifestations, caused by the interrelation and coexistence of different civilizations that passed through this region over the centuries: Greeks, Romans, Arabs, Jews, Christians....blended together with the strong influence of the cultural traditions from the gypsies. Flamenco is the art of passion, it's an artistic expression without filters, fusion of song, dance and character . Flamenco shows emotions in their purest state, whether of sadness, joy or anger. Lyrics are characterized by being brief and simple, but with a blunt and direct language, as well as a very complex technique. It's an art in constant evolution, which has transcended all frontiers. It was declared Intangible Cultural Heritage by Unesco in 2011. For many people around the world, flamenco is more than an art, it's a lifestyle. Company Flatro 111 is founded upon force and emotion in its purest state, where a theatrical tapestry is woven that leads each emotion and each artistic explosion towards a destination, in order to tell the story. The network, created with the most avant-garde and innovative scenic techniques in show business, make each play a unique experience for the spectators, carrying them throughout an emotional journey that makes them ponder the very laws that are most universal to the human being. Flatro 111´s shows are journeys where each stop is unique. Not only can vital answers be found, but essential questions as well. Flatro111 was born in 2014 out of the need to seek new frontiers in the world of Flamenco and theatre. Our shows become scenic laboratories. For each project, Flatro 111 benefits from the collaboration of some of the most outstanding creators in different artistic disciplines: film, fashion, scenography, music, bringing forth a new prism and dimension to each play. Flatro´s essence is Flamenco in its purest form, wild, authentic flamenco, from the midst of which director Antonio Vallejo emerges, who, like most of the company´s artists, comes from families of Flamenco tradition, proven in the Albayzin and Sacromonte´s best venues, or “tablaos”, where a great deal of this centenary Andalusian art was and is still born to this very day. In addition to this savage form of flamenco, Flatro´s other director, Ángel Del Águila, puts his creative scenic vision into the show, and, along with Vallejo, takes it to another level. Cave Tablao Zambra Restaurant with Flamenco live spectacle every night, in the neighborhood Albaicin Granada.